Domestic or International? Overnight, 2nd Day, or Ground? What is the appropriate service for you? 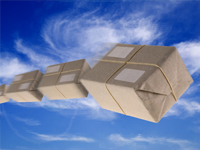 We are an Authorized Shipping Outlet for FedEx, DHL, UPS and we also offer The United States Postal Service. We offer 4 carriers in one convenient location so you can utilize the strengths of each one. With all the changes taking place with shipping carriers these days it is nice to know you can speak to a trained professional who has experience using multiple methods of transit. We can offer a service that is right for you. You can trust our experience and expertise to help you make the correct choice. We are the Packing Professionals! Whether you have electronic or computer equipment, Artwork, China, or miscellaneous household goods we can package it safely for you. We are fully trained in our carrier's packaging guidelines so you can be assured that your shipment will be packed to their specifications. We also offer anywhere between 40-60 box sizes per store location, so no matter how awkward your item is, we can handle it. You can always bring item(s) to our location to be packaged for situations other than shipping, so whether you are moving or just transporting a few items, we are more than happy to accommodate you. Just drop your items off at our location and we will prepare them for you. Foam Injection Packing is also available in some locations. 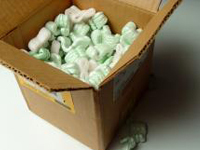 Foam injection packing is the safest form of packing in the industry. It is generally used for high value computer and electronic items and can also be use for larger delicate items. Please call your nearest center for availability. 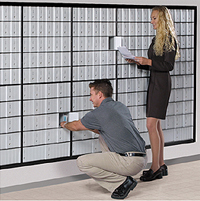 Everything you need for shipping or moving is available at Fielder Postal Center. Corrugated boxes, mailing tubes, padded envelopes, bubble wrap, polyfill, tape and other packing needs are ready and at your disposal. Specialty items can also be ordered. Our location offers between 40-60 different sizes of corrugated boxes so you can find one that is right for you. Our corrugated boxes are between 200-275 lb. 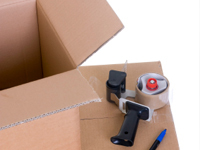 test cardboard so you know you will be purchasing a durable carton. Quantity discounts are available so we can help make moving affordable. Need a convenient place to grab everyday office supplies? 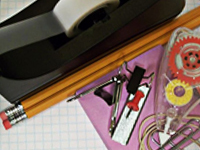 We stock pens, highlighters, paper clips, notebooks, and other often used office supplies for you. These items can be very handy when you are in a hurry or are working on a special project. We are your neighborhood copy center. 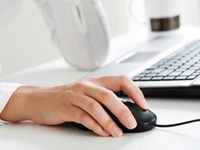 Our courteous and efficient staff is here to offer you help whether you are copying 1 item or 1,000. Black & white and full color laser copies are available. We offer high-speed machines that also can sort, staple, collate, reduce and enlarge as well as make double-sided copies. Special colors of paper, resume paper and transparencies can also be duplicated. Need a large job done? Quantity discounts are available and we are always ready to bid on custom jobs. Unusual requests can sometimes be handled. Need a job done for a deadline? Give us a call and we can prepare your job for when you need it. 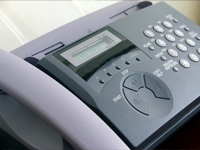 With facsimile (fax) transmission services, you can communicate with other fax locations worldwide. This is an ideal service for those who don't send or receive enough faxes throughout the year to justify purchasing a fax machine. Just put our fax number on your own stationery and pickup your faxes from our store. 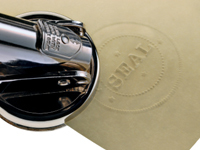 Notary services are used when you need to have a legal document signed in front of an impartial witness. We have notaries on staff to serve you. Combine that with our photocopying, facsimile, and overnight shipping services and you have everything you need to get your work done — all in one location! Whether you just need to check your E-mail, surf the Internet or create documents, our computer station in available for you. You can also print your documents to our black & white or color printer.